If you fancy getting married amidst the backdrop of Filipino old-world charm, you will never go wrong with Intramuros. 🙂 Watch the VLOG below and check out my honest review of Teatrillo, my evening mini-tour of Casa Manila and footage from Paeng and Karen’s wedding which I hosted. Coordination by Tale of Time Events. Join me as I take you through another behind the scenes peek of a wedding work day. Donna and I have been communicating mostly on Facebook since she and Ervin are based in Germany. You seriously have to check out their prenup video by Forevermine Films! OTD Coord: Christine Aguda of Events by Tin and Co.
First Dance: Edward A. Sera Jose Jr.
DRIVING ALONE TO PICO DE LORO FOR A WEDDING! I’ve been to Pico de Loro thrice. All those times, there was someone else driving and I’d be on board a much bigger vehicle. When I found out that my supposed companion couldn’t make it to the trip, I braced myself to drive alone to the wedding I was hosting. I checked Google Maps. Two hours and thirteen minutes or two and forty? Not so bad, I thought. I’ve spent longer on EDSA. I still checked Waze for the step by step directions but I think my trip stretched on to three and a half hours. 😦 Check out my driving adventure, the wedding, a quick tour of Pico de Loro and the creepy, dark drive from Pico de Loro to Manila. Congratulations to Mark and Nix! I have been working with Sample Room for about four years now. I met Sophie Uy (one of the founders) when we were chosen as two of the 10 Women of Confidence here in the Philippines. Well number 1, it’s a start-up. The four founders Sophie Uy, Katherine Sy, Diana Ong and Nats Toh know each other from school and all have their own businesses. The whole concept of TRYVERTISING was completely new back then and it took a while for brands to actually warm up to it. With the rise of subscription boxes and the growing popularity of online reviews (which a lot of consumers now turn to before making any product purchase), brands soon realized the value of a community wherein real people can actually try out their products and give them authentic feedback about it. If I were the brand, that would actually serve me well–I get to create buzz about my product, I get real reviews and I’ll know if there are things I still need to improve. Sample Room is also greatly beneficial to consumers who are always on the lookout for new products. The thing is, we have to be well-aware of the fact that not all products work well with our skin type and body chemistry. Imagine purchasing an entire bottle of moisturizer that costs a fortune only to find out three days after trying it, that it’ll cause your skin to break out? Would you still insist on using the product just because you spent a fortune on it? I don’t think so. That’s where Sample Room comes in. You can sign up with an email address for free and get 100 points upon successful registration. These points are what you use to avail of free samples on the website. Each product has a corresponding number of points. After you pick your products, pay for the delivery fee and once they arrive, you can peacefully try them out right in the comfort of your own home. Within a week of trying it out, you can write about your experience on the Sample Room website and replenish the points you spent. Give http://www.sampleroom.ph a visit and sign up now! Check out the VLOG I managed to film in between my hosting duties for them. Roxanne got in touch with me 5 months before her wedding, thanks to Bridal Book. 🙂 It always brightens my day whenever I get emails from prospective clients who say that they read good reviews from these very helpful bridal forums. 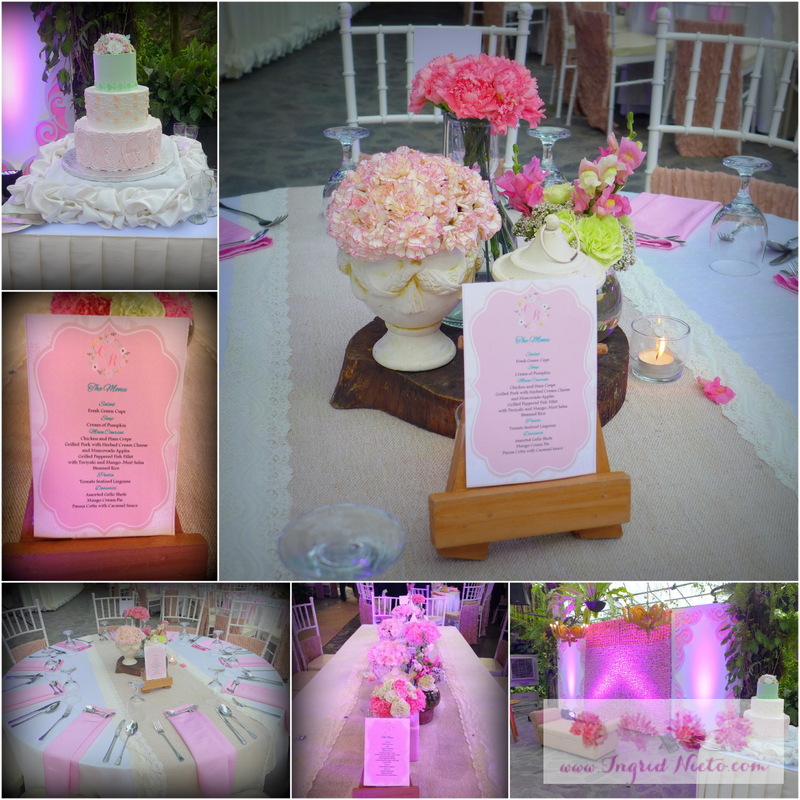 It pushes me to consistently give my best and always make sure that the clients and their guests are happy. 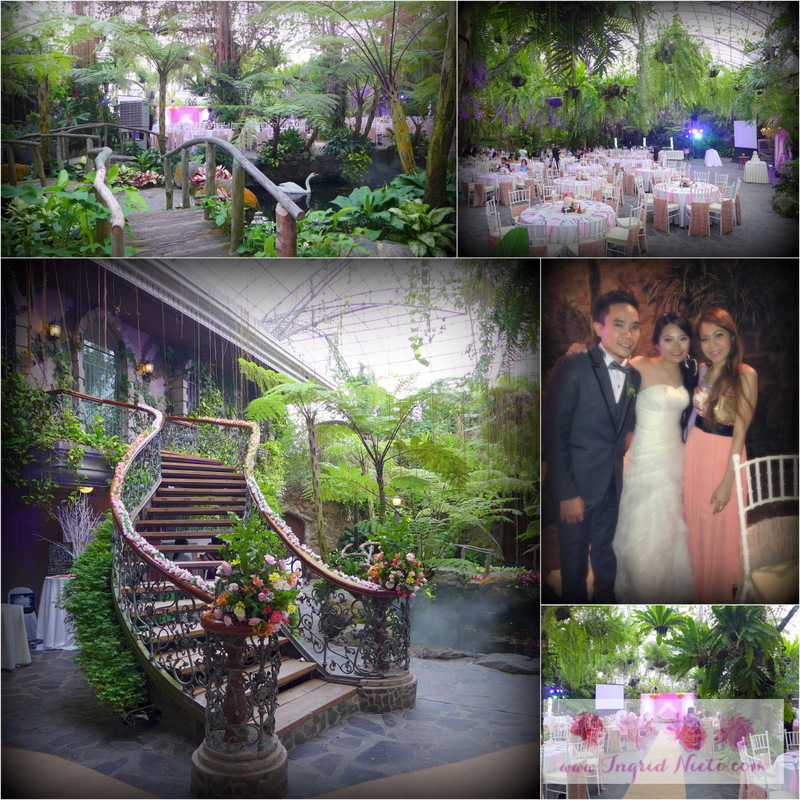 Their wedding was held at Fernbrook Gardens in Quezon City. It was quite an adventure getting there, because I couldn’t seem to remember the streets from the previous times I drove to the venue. With my trusty Waze, I was able to navigate and get there before my call time.